£19.95 More info & buy	With no calories, no alcohol and no sugar you would be forgiven for expecting a bland non-descript drink. But thankfully you'd be very wrong indeed. 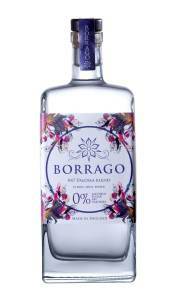 Somehow, magic we suspect, Borrago delivers layers of spice, citrus and smoky peppery notes. You can enjoy this interesting drink without guilt and wake up the next day feeling fresh and without a fuzzy head. One small piece of advice, pour sparingly - 20cl for a glass is adequate such is the intensity of flavour. Bravo to the team at Borrago!